As a premier vConfidence approved physician practice, Miami Women Care and Boca Women’s Health has a decade long reputation for offering personalized care to women of all ages in a private and relaxed atmosphere. With offices at Town Center One at Dadeland and at the Boca Clinic, Miami Women Care was established by Dr. Randye Karmin, after years practicing OB/GYN at Mount Sinai Hospital in New York, and our offices are designed with warmth and sensitivity to make your visit a comfortable and pleasant experience. By providing state of the art, comprehensive healthcare for women in every stage of life, we respect your time and will make every effort to get everything done for you at the time of your visit, including blood work done in our office – saving you a separate trip to the lab. Likewise, our physicians perform all of their own ultrasounds, saving you from a second appointment elsewhere, and allowing you to receive your results quickly and conveniently. Dr. Karmin graduated with honors from the University of Florida College of Medicine in Gainesville and is board certified by the American College of Obstetrics & Gynecology, and she completed her residency training in OB/GYN at Mount Sinai Hospital in New York. 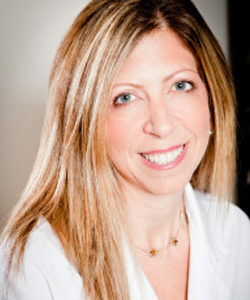 Dr. Karmin lives in Miami with her husband, who is also a Gynecologist, and her two beautiful children. She specializes in office-based treatments of gynecologic disorders, including Novasure™ endometrial ablations for heavy and painful periods, and the Essure™ permanent sterilization procedure. Our offices offer a private and relaxed atmosphere to make you feel more comfortable and to make your visit stress-free, so please contact us today to schedule your consultation.